Bianco Light & Space is a sculpture and design studio based in Los Angeles. The concepts of “Light” and “Space” are used as a departure point to design and make functional and sculptural objects. Ideas are distilled through a minimal aesthetic producing works with a commitment to traditional studio materials and practices. Bianco Light & Space was founded in 2013 by Anthony Bianco in New York City. Anthony received his B.F.A. in glass with an emphasis in sculpture and wood furniture design from the California College of the Arts in 2004. 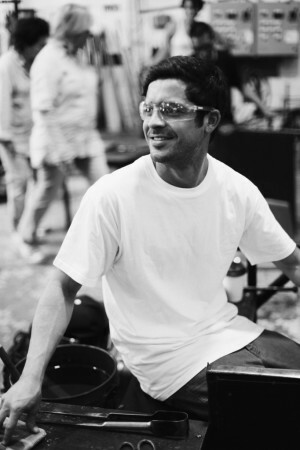 He has taught at various institutions across the U.S. including Public Glass in San Francisco, Chicago Hot Glass in Illinois as well as Urban Glass, Brooklyn Glass, New York University, and the Museum of Modern Art in New York.